« New Horses and New Clients – Here’s to a great New Year! 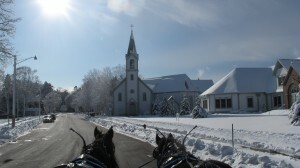 As most have witnessed, we’ve had a great January and February with the Horse & Carriage Rides. Depending on the weather, and if people are waiting in line and the length of rides (~30mins) Scott Ward, the owner & operator, gives out 3-5 rides each afternoon of operation. The rides take place Friday and Sunday afternoons, offering our ski weekend crowds a special treat. Based on thephone calls he’s getting in advance most visitors are ”down staters” from the 248 area code! Only a small percent are from our immediate area. So, there’s a great draw. 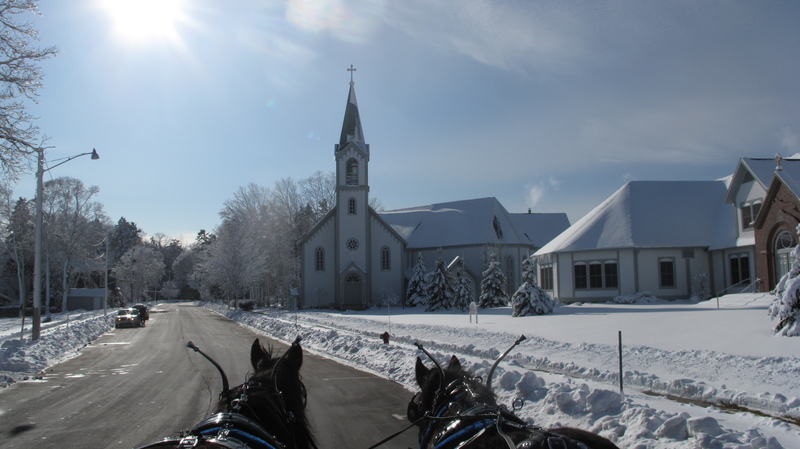 Carriage rides are a wonderful place-making effort and attraction in our town. This is where we need your support. Without additional monies donated, the rides will not be able to continue. Historically, it’s been decided to offer these rides ‘free to the public’ through the support of merchants and town folks like you, which benefit. Please consider making a donation! We’ve had donations from Litzenburger Landscape, Brek-N-Ridge Farm, Mary Ann Archer and Adam Garrett (making silver tags for the horses bridles) and Bella Regalo to name a few! Yet, we haven’t reached our goal. Please help. Donations are accepted at the Chamber of Commerce office at 368 E. Main Harbor Springs, Michigan 49740 or directly to Scott Ward (the owner of the Horses and Carriages). All donations go directly to the Scott for the operation of the Rides. On behalf of Scott Ward (231-838-6124), we thank you in advance.